← Con News: Small Press Expo Library Gift Program of 2016 goes to Richmond! There have been a few animated movies coming our way lately. So why not take in one more? Animation is fun. Today I’ve got screening passes for the newest bouncing baby animated film…Storks! And yeah, it’s about just what you think it’s about. Synopsis! Storks deliver babies…or at least they used to. Now they deliver packages for a global internet retail giant. Junior (Andy Samberg), the company’s top delivery stork, is about to be promoted when he accidentally activates the Baby Making Machine, producing an adorable, and wholly unauthorized, baby girl. Desperate to deliver this bundle of trouble before the boss gets wise, Junior and his friend Tulip, the only human on Stork Mountain, race to make their first-ever baby drop – in a wild and revealing journey that could make more than one family whole and restore the storks’ true mission in the world. 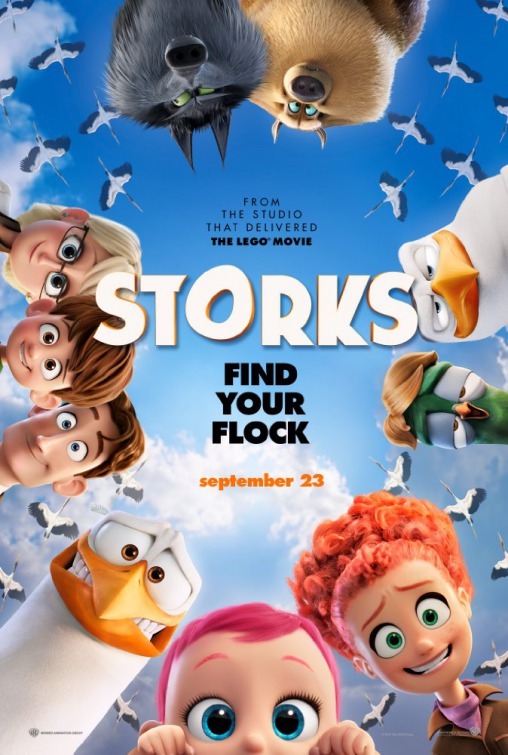 What: ADMIT FOUR passes for the Baltimore area screening of Storks! This entry was posted in Free Screenings and tagged Animation, Family Films, Free Screenings. Bookmark the permalink.